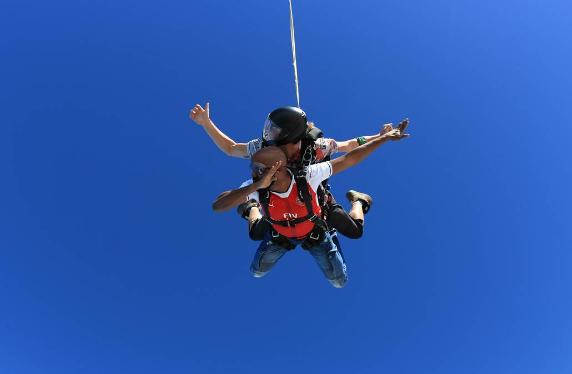 Pics: Banky W goes sky diving in Dubai... breaks record of dabbing in the sky. 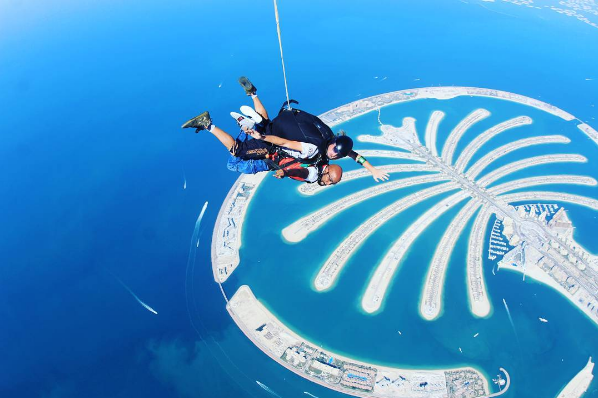 Hmm... holiday goals, Banky Wellington as been in Dubai for a week now and as sent several daily pics of his dubai fun trip online. 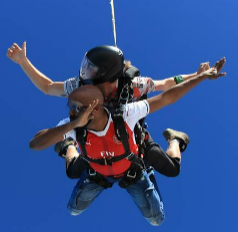 But today he did the sky diving and he in fact dabbed in the sky... personally on my record, he would be the first have seen to dab knowingly while skydiving. 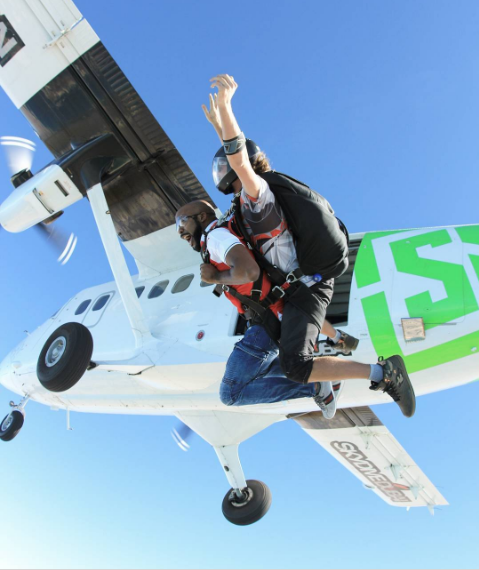 More pics below.